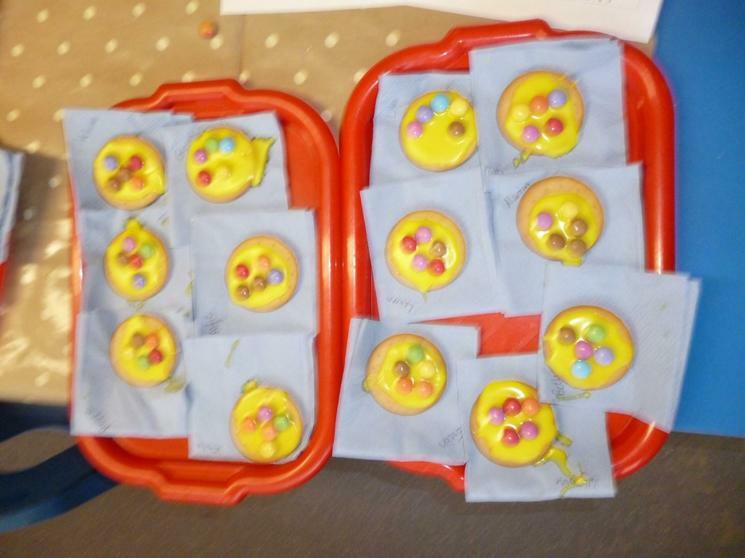 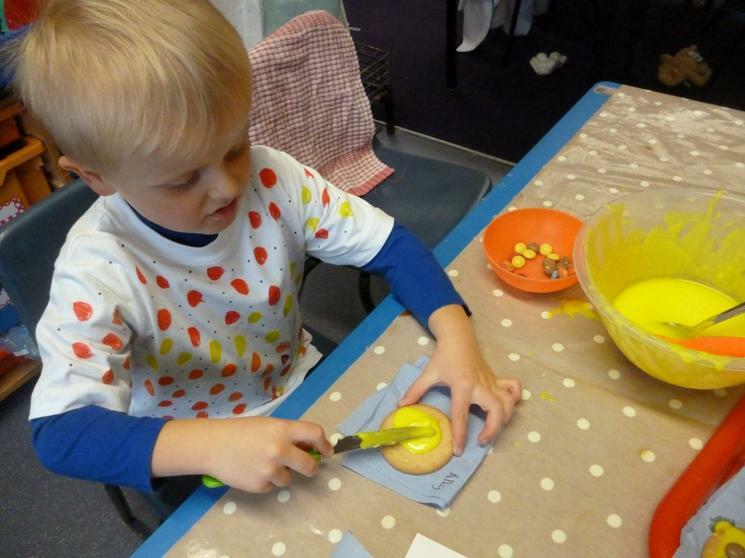 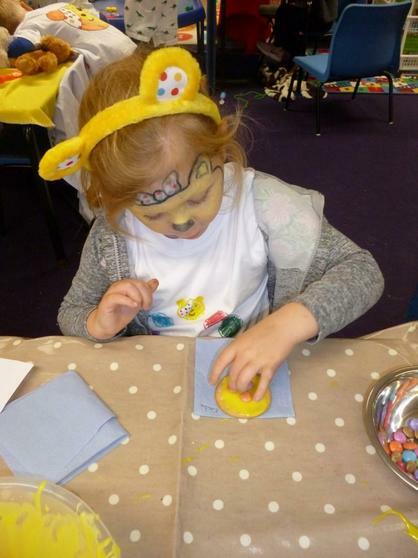 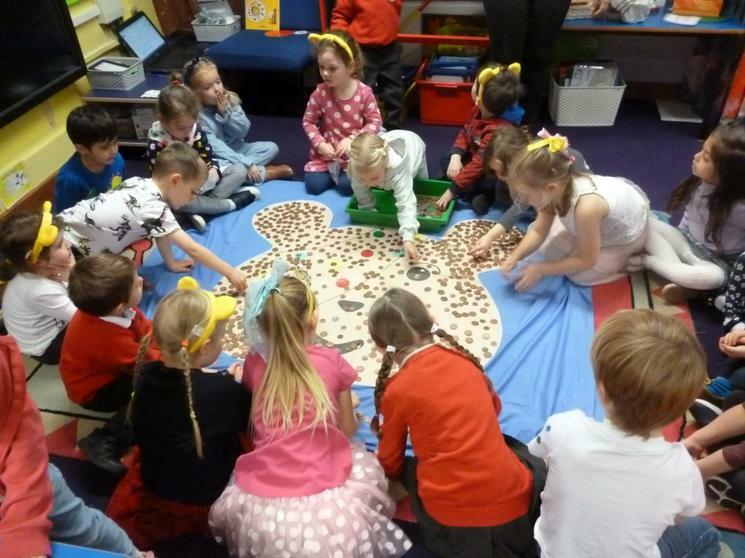 On 16th November we celebrated Children In Need. 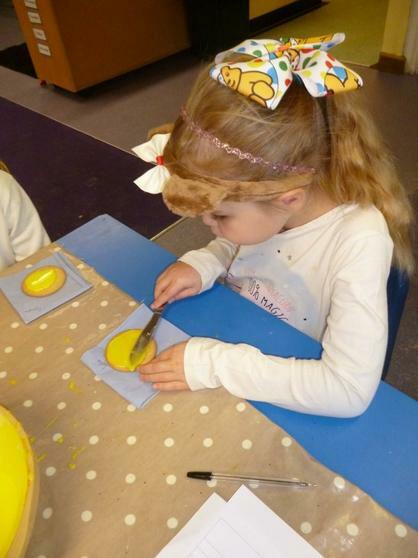 We came to school in bright clothes and joined up with Pre-School for a morning of fun activities. 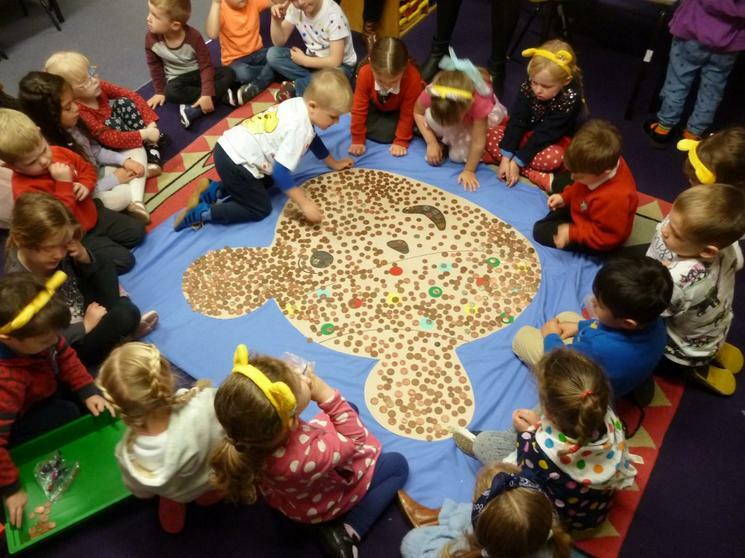 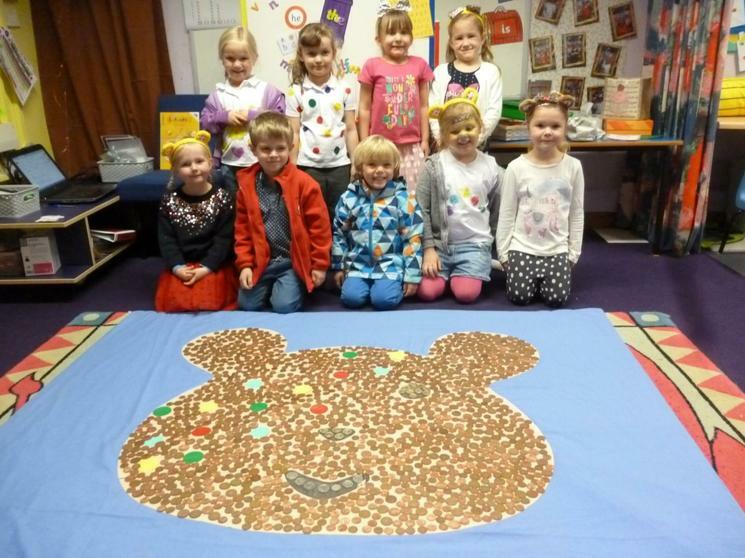 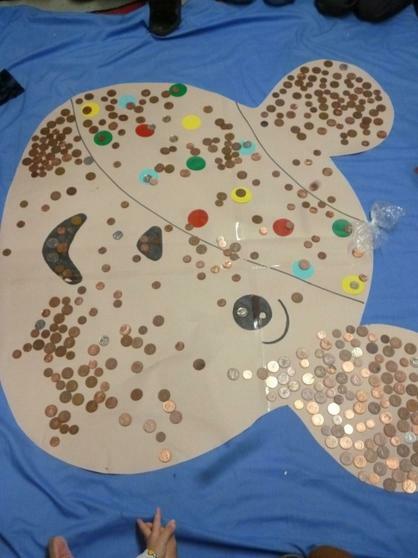 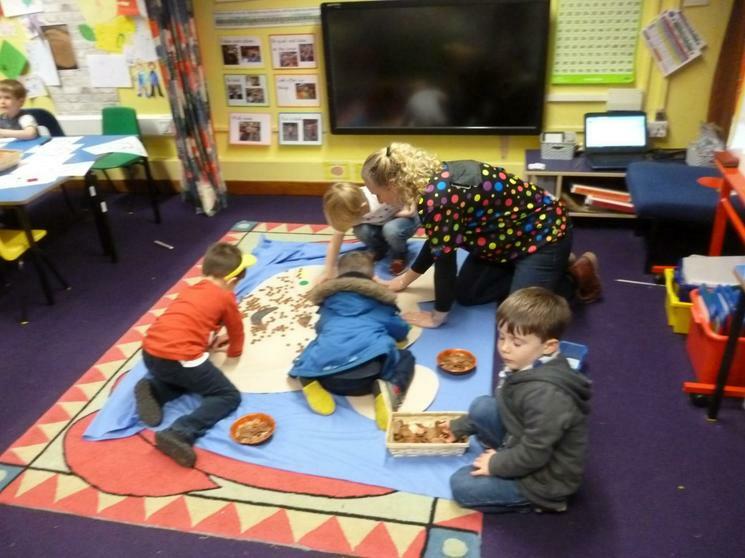 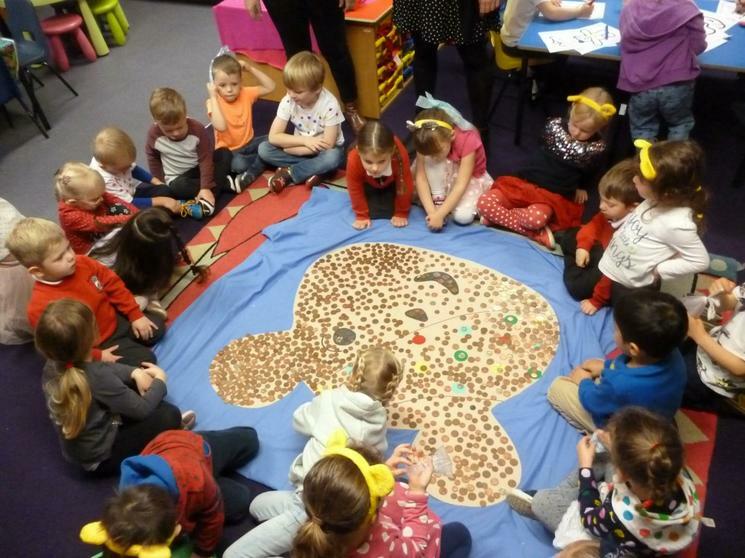 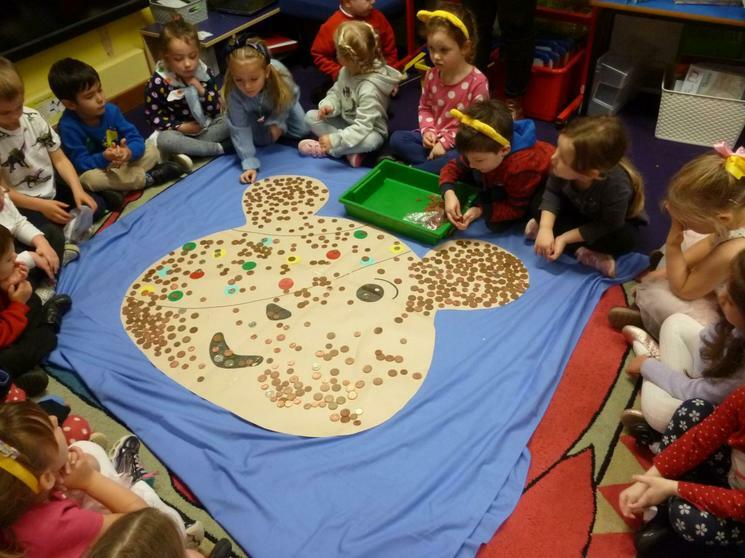 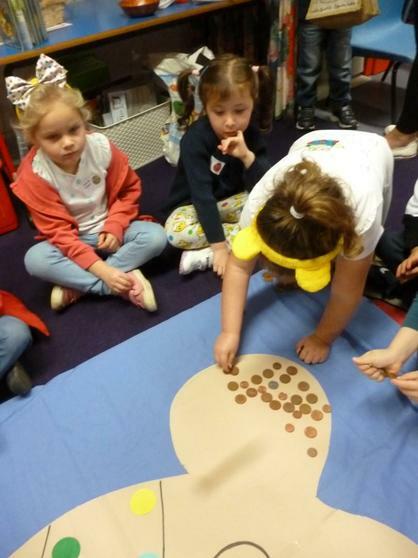 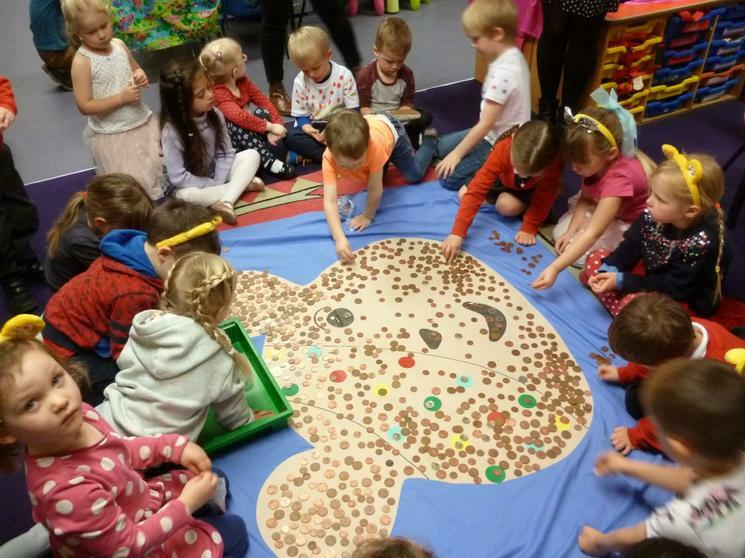 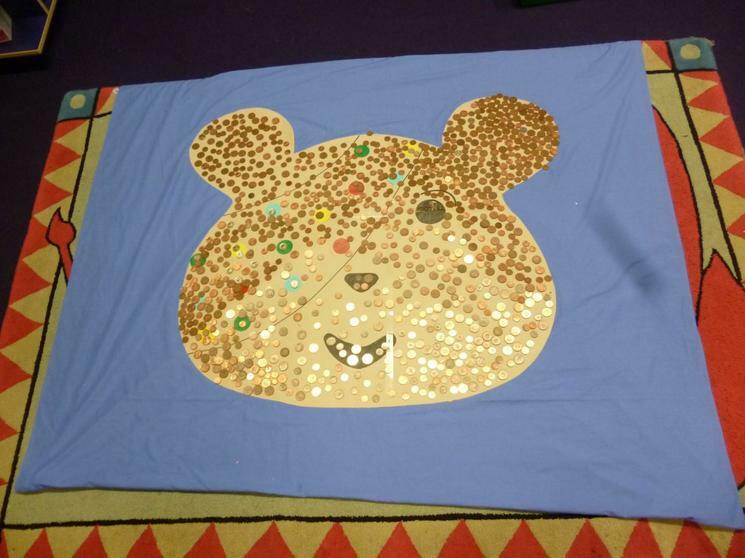 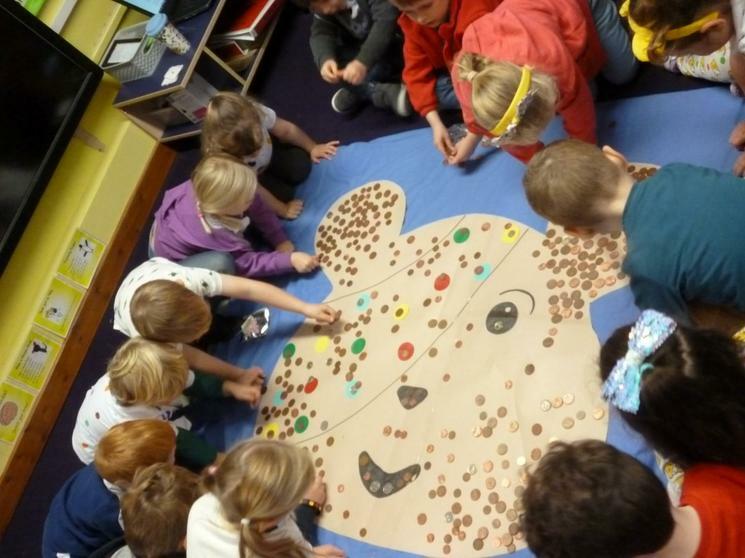 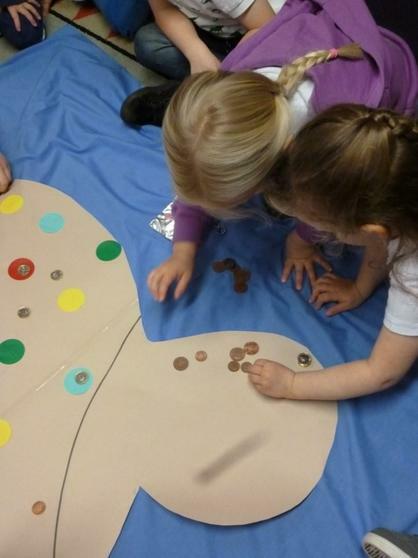 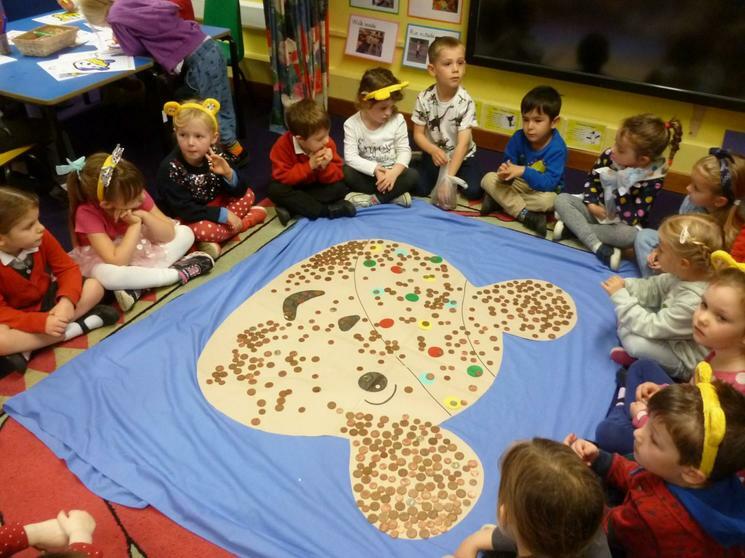 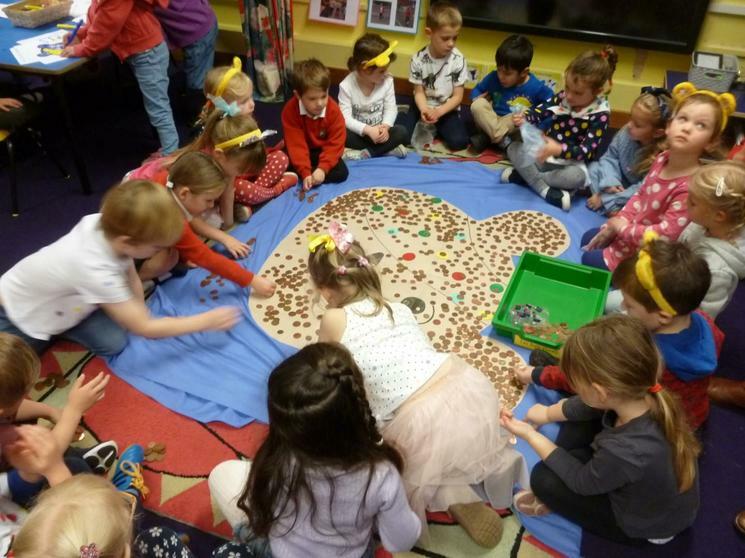 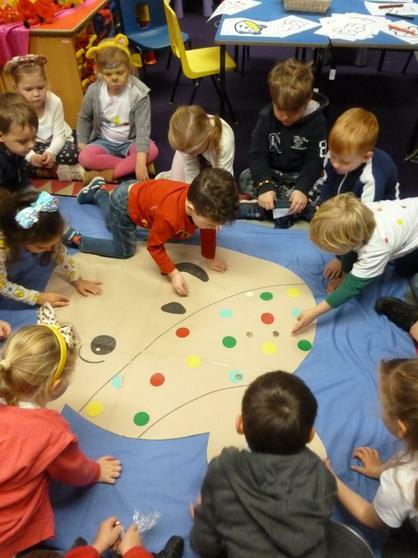 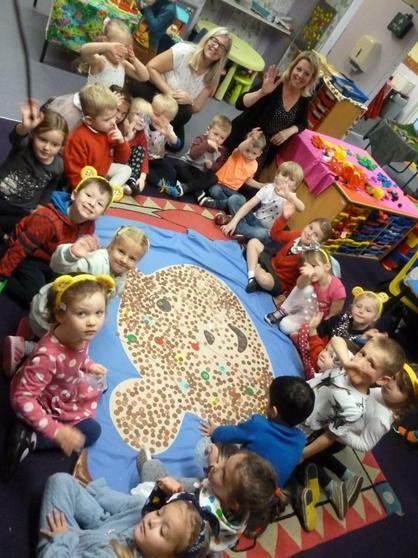 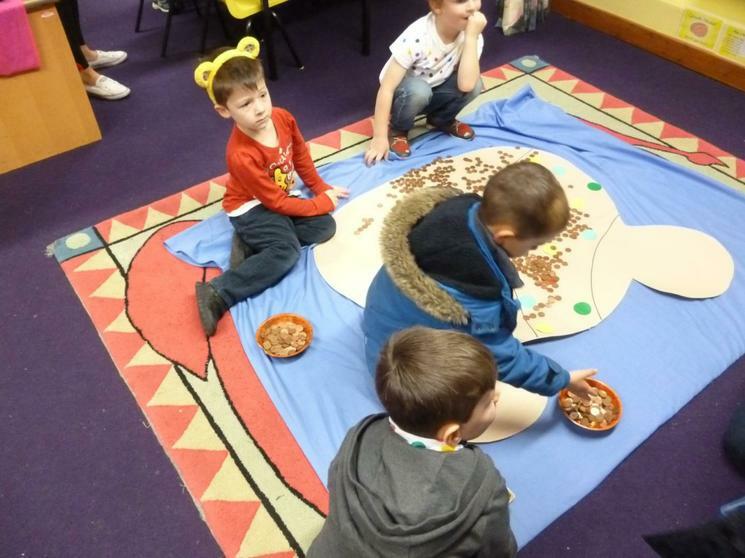 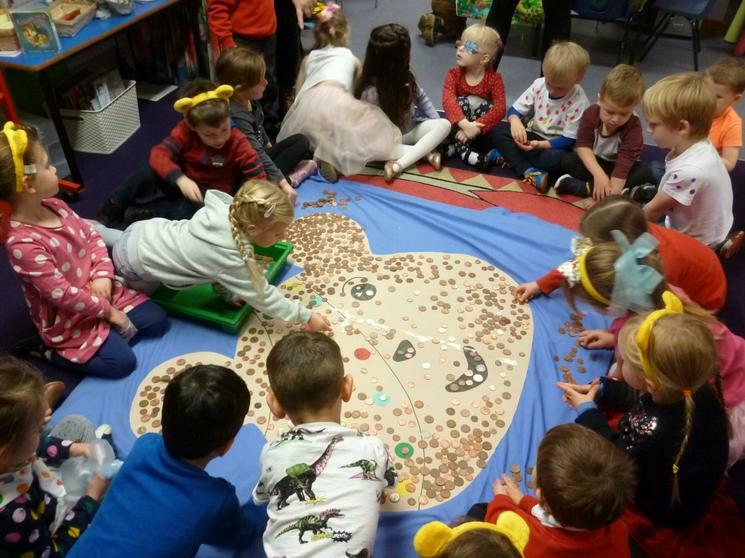 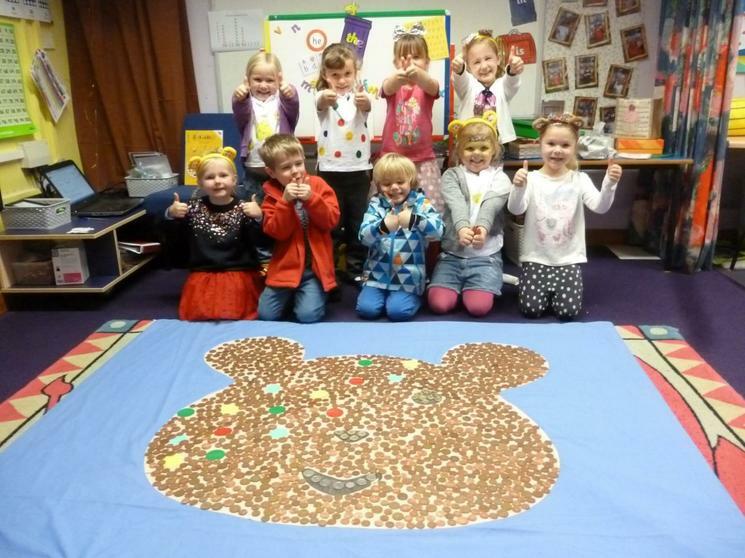 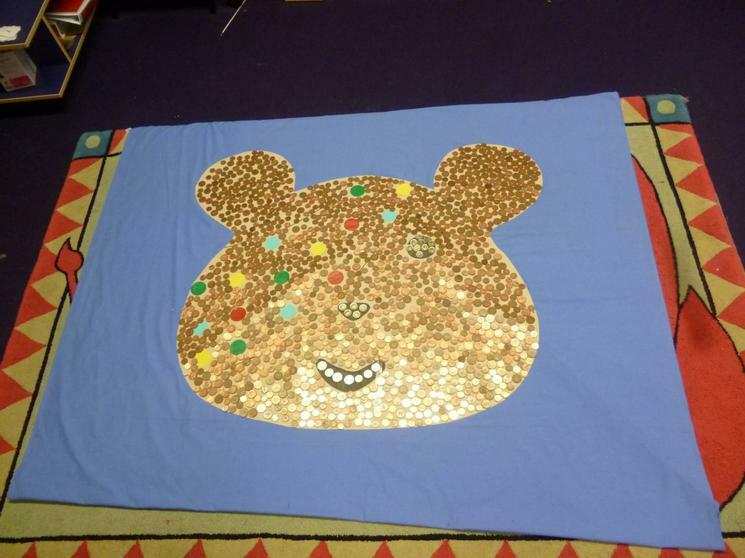 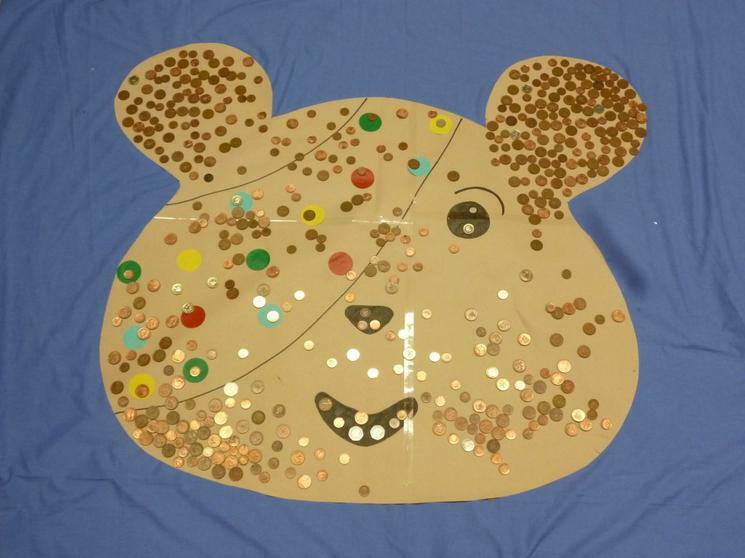 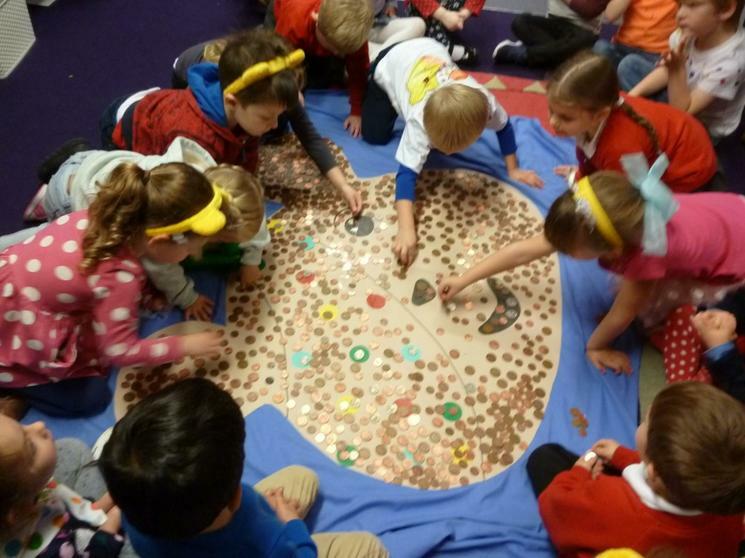 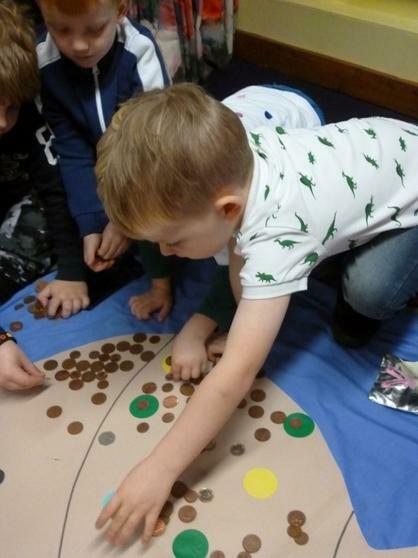 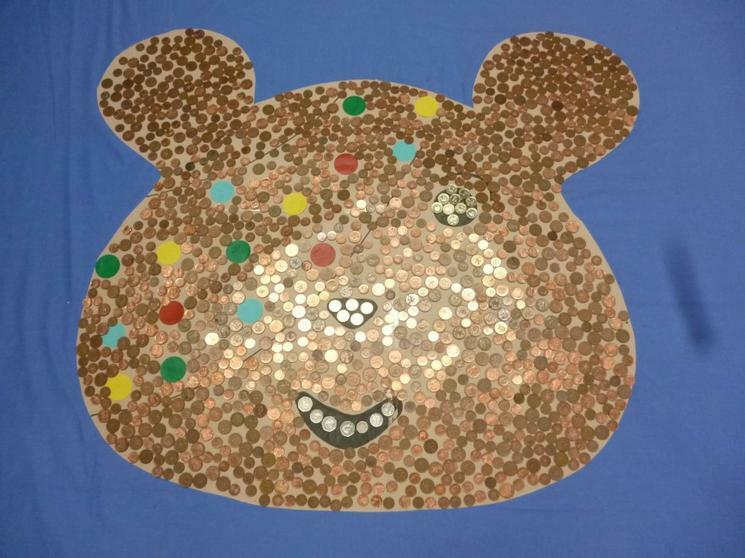 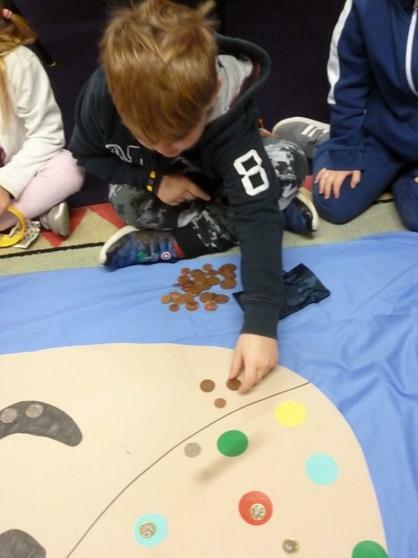 Families kindly sent in lots of pennies and we managed to cover an enormous Pudsey face with them.